You NEVER bring a new dish to a party- well I did because I was confident in what I was making. I put my whole identity on the line bringing this dish to a July 4th party with half the people I did not know. I went for it, and I got some good feedback. Since it was pretty not bad, here is the recipe. Things to know about the dish: It is Vegan, and this recipe serves 15-20 people. It takes about 1.5 hours to make this dish. 1. Preheat the oven to 375 degrees. If you are cooking the beans- start cooking them right away. 2. 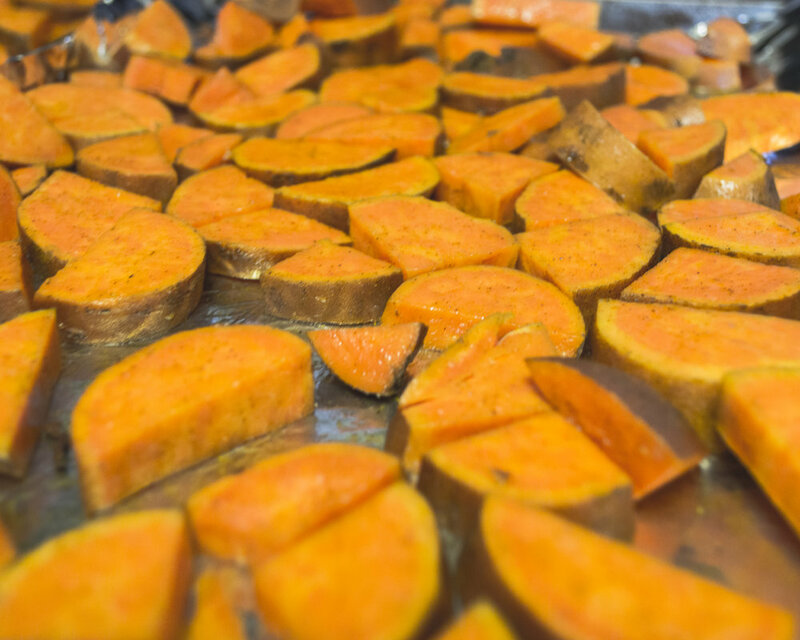 While you wait for the oven temperature, wash and chop the 6 pounds of sweet potatoes. 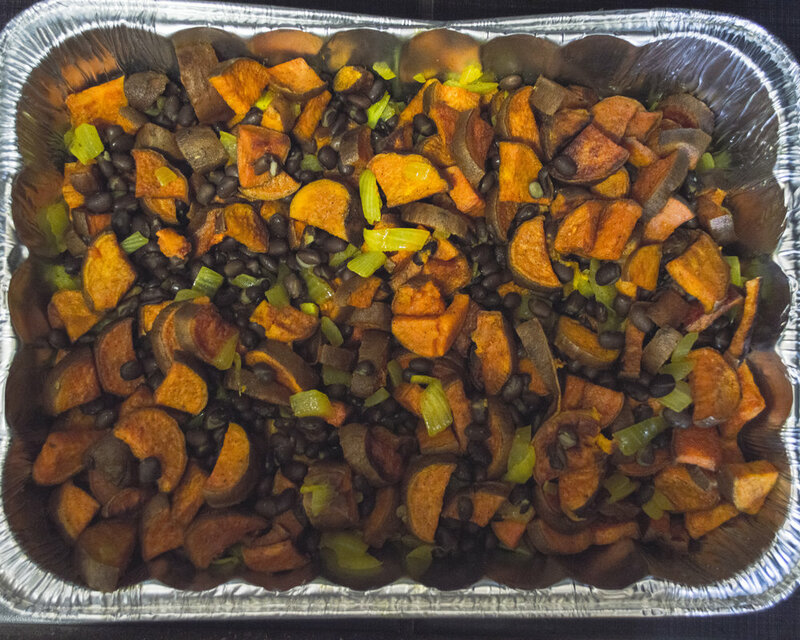 Place the sweet potatoes in a large bowl. 3. 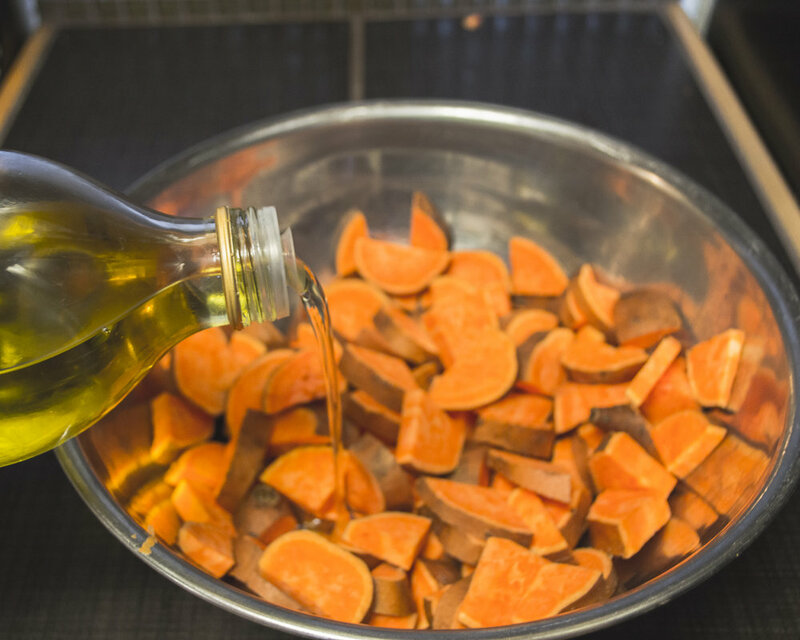 Drizzle a few tablespoons of olive oil onto the sweet potatoes and mix until the potatoes are covered with some oil. You may need to add some more oil but do not drown in olive oil- less is more. 4. Sprinkle some salt and pepper on the sweet potatoes and mix. 5. Add the turmeric and cinnamon to the sweet potatoes and mix. Make sure all the sweet potatoes are seasoned evenly as best as possible. 6. Place the sweet potatoes on cookies sheets with tin foil. 7. 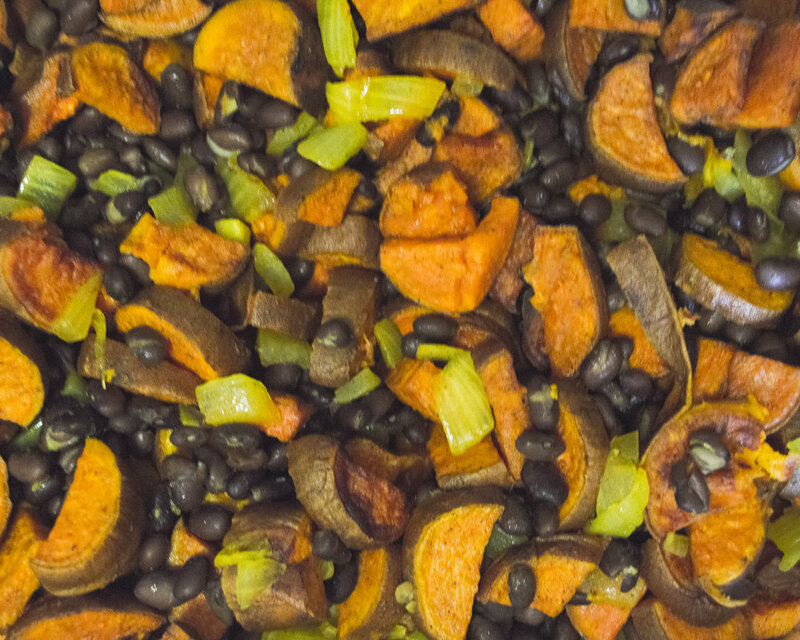 Cook sweet potatoes for 35-40 minutes or until the insides are soft. 8. Chop up the whole onion into small bits. 9. Caramelize the onion on medium heat with a little bit of olive oil, turmeric, and cinnamon. 10. Drain and rinse beans. 11. 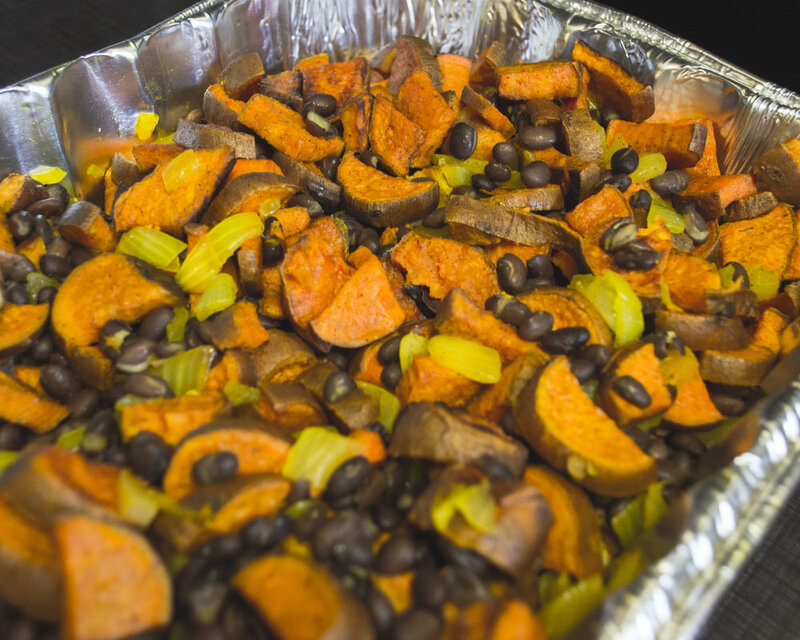 Add sweet potatoes, beans, and onions together once all the contents are cool! Just like that- you have a great meal with protein, vitamins, and antioxidants. This dish is straightforward to make but complex in taste! A perfect side dish for a party or your lunch. Know of ways to make it better? Let me know in the comments below, and I would love to try out what you are thinking!